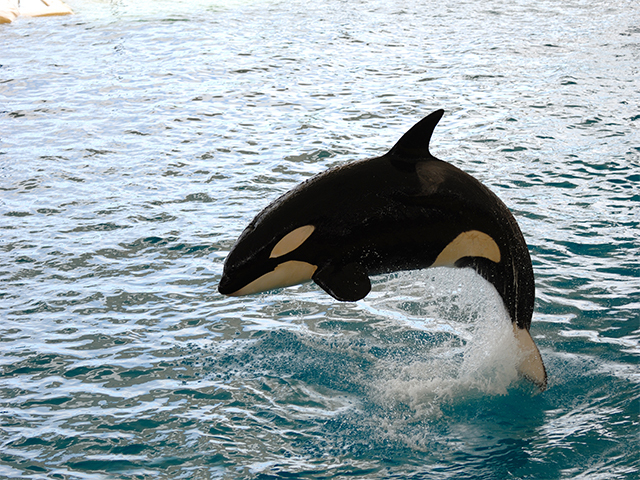 Walk along with Penguins, sail alongside Whales and take the road less travelled! 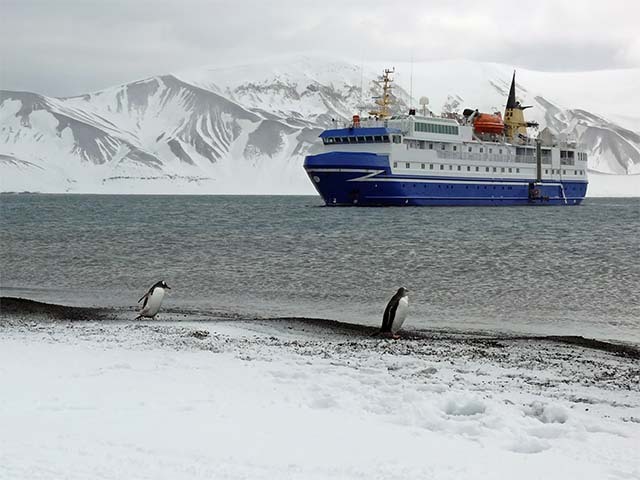 Join us on an exclusive cruise to South Georgia and Antarctic Peninsula. A journey to stunning South Georgia takes you past icebergs, fjords and icy mountains with Petrels, Albatrosses, Sherwaters and Skuas for company. Our 16-day long Antarctic Cruise Holiday starts from the capital city of Chile, Santiago de Chile, from where we take a flight to Mount Pleasant Airport on the Falkland Islands. Mount Pleasant Airport is also the military base of the Royal Air Force of United Kingdom. The Falkland Islands, part of United Kingdom Overseas Territory, comprises two main islands – East Falkland, West Falkland and several hundred smaller islands in the South Atlantic Ocean, off the east coast of southern South America. Make the most of your visit to Falkland by going around the capital city Stanley, located about 56 kilometers from Mount Pleasant Airport. Experience Falkland culture born out of settlers coming from different parts of the world. The place has some significant Argentinian characteristics and as well portrays the Victorian charm at the same time. In Stanley and the surrounding area we can see numerous stranded clippers from a century ago. We reach Port Stanley by afternoon and in the evening we set sail to South Georgia. Our vessel and home for the trip is the spectacular M/v “Plancius,” where you will be accommodated in twin sharing private rooms with windows. The next few days will be spent across the Southern Atlantic Ocean as we sail towards South Georgia. On our way, we cross the region of prevailing winds called Westerlies, in the latitudes between 30 and 60 degrees, the ship is followed by several species of Albatrosses, Storm Petrels, Shear waters and Diving Petrels. The Storm Petrels are the smallest of the sea birds seen here. The island of South Georgia, located 1400 km to the east of the Falkland Islands, is one of the remotest and wildest places of the United Kingdom's Overseas Territories. South Georgia does not have an airport, the only access is by ship and it takes two whole days to reach from the Falkland Islands. Apart from the rusting remnants of the old whaling stations, the island is virtually untouched by man and so offers unique opportunities to observe the unparalleled wildlife and spectacular scenery. The island is often called the most beautiful part of the Southern Atlantic Ocean. Huge numbers of seabirds and marine mammals breed along South Georgia's Tussock Grass fringed shores. On our way to South Georgia we will cross the Antarctic Convergence. 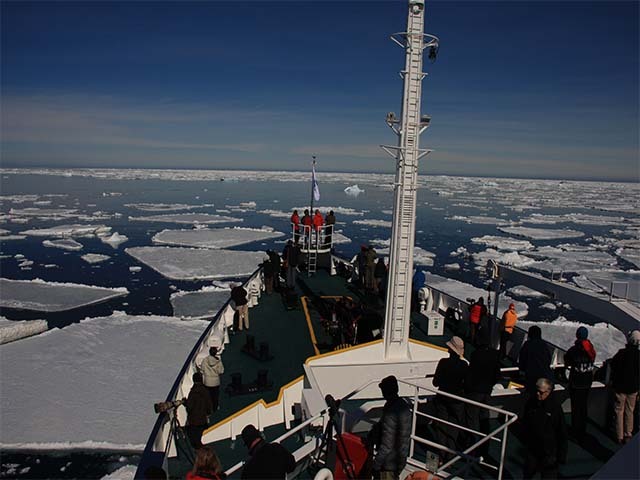 Entering Antarctic waters, you will feel the dip in temperature. In a time span of only a few hours temperature is reduced by as much as 10 degrees Celsius. Near the Convergence we will see yet another a multitude of southern seabirds like several species of Albatrosses, Shearwaters, Petrels, Prions and Skuas. In the afternoon of day 4 we arrive at our first landing site in South Georgia. South Georgia is located within the Antarctic Convergence, an oceanographic border that separates the cold Southern Ocean from the warmer northern Oceans. Therefore South Georgia experiences a cold Oceanic Climate. The weather can be very variable. Blue skies with sunshine can be succeeded by violent storms within half an hour. The average summer temperature at sea level is around 7.5°C. Rain and snow are possible in any season. We might visit the Bay of Elsehul, with its very active fur seal breeding beach, and then set course to Right Whale Bay, Salisbury Plain, Godthul, St. Andrews Bay, Gold Harbour, Cooper Bay and Drygalski Fjord to give you a good opportunity to see a wide spectrum of landscapes and wildlife, like the introduced Reindeer, Elephant seals, Fur seals, King and Macaroni Penguins. Gold Harbor is in fact a place where you may find the best of South Georgia’s wildlife and scenery in one place. It is regarded by many as the most beautiful spot on the island. King Penguins, Gentoo Penguins and Elephant Seals are the players in this natural amphitheater. One of the highlights might be our visit to Prion Island, where we will witness the breeding efforts of the huge Wandering Albatross and enjoy watching their displays. At Fortuna Bay we might try to follow in the footsteps of the great British Explorer Ernest Shackleton and hike over to Stømness Bay. There and at Grytviken we’ll see an abandoned whaling village, where King Penguins now walk in the streets and seals have taken over the buildings. At Grytviken we’ll also offer a visit to the Whaling History Museum as well as to Shackleton´s grave near by. We will depart from South Georgia in the afternoon on the seventh day of the holiday. At sea, where the ship is again followed by a multitude of seabirds. At some point we might encounter sea-ice, and it is at the ice-edge where we might have a chance to see some high-Antarctic species like the McCormick Skua and Snow Petrel. Today we may reach South Orkney Islands, a group of islands in the Southern Ocean, about 604 km north-east of the tip of the Antarctic Peninsula. The islands were discovered only in 1821 when they were sighted by two sealers George Powell and Nathaniel Palmer. The islands consist mainly of rock and ice (85 % is glaciated), with little vegetation. Argentina (Orcadas station) and the United Kingdom (Signy Station) have scientific stations on the islands. We may visit Orcadas station, an Argentinean base located in the South Orkney Islands. The friendly base personnel will show us their facilities and we can enjoy the wonderful views of the surrounding glaciers. We will sail into the Weddell Sea through the ice-clogged Antarctic Sound. Weddell Sea was discovered in 1823 by the British sealer James Weddell. at its widest, is more than 2000 km across, is located on the south-east side of the Antarctic Peninsula. The Weddell Sea is considered high-Antarctic in contrast to the north-west coast of the Peninsula, which is low-Antarctic. The Sea extends so far south that it is under the direct influence of the very cold Antarctic Continental Climate. The south-western and southern borders of the sea are formed by the Larsen and the Filchner-Ronne Ice Shelves. These shelves produce the huge tabular ice-bergs that are found in abundance in the Weddell Sea. We will sail into the Weddell Sea through the ice-clogged Antarctic Sound, named after the expedition ship of Otto Nordenskiöld. The sound that separates the tip of the Antarctic Peninsula from Dundee Island is also named “Ice-berg Alley”, because of the huge ice-bergs that are often seen here. We plan to visit Brown Bluff where we may set foot on the Continent. Charlotte Bay on the west coast of Graham Land was discovered by Adrien de Gerlache during the 1897–99 Belgica expedition and named after the fiancée of Georges Lecointe, Gerlache's executive officer, hydrographer and second-in-command of the expedition. Portal Point served as the gateway for a route to the polar plateau. Immediately behind the low point on which the hut was located the (usually snow-covered) land rises steeply upslope toward the plateau. The topography of the surrounding area is mountainous, with nunataks rising through the ice. Charlotte Bay is often filled with icebergs. Mostly we see seals on floes in Charlotte Bay, and occasional, kelp gulls, skuas, shags, or penguins. From the slope above Portal Point, and at its highest point, there are excellent views of Charlotte Bay. In Wilhelmina Bay we will admire the rugged ice coated mountains of the 24 km long Arctowski Peninsula. 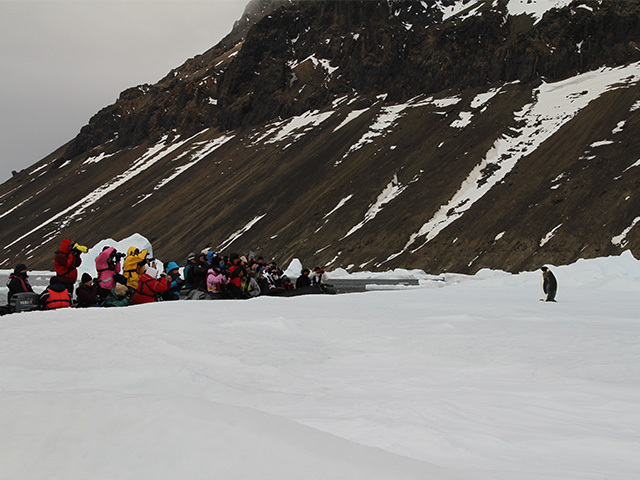 At Deception Island, we will try to land at Baily Head home to a colony of ten thousands Chinstrap Penguins (please note this landing is not always guaranteed and is only possible in good weather conditions). Good walkers may hike from Baily Head over the ridge of the crater into Whalers Bay, while our ship braves its entrance into the crater through the spectacular Neptune’s Bellow into the ring of Deception Island. Deception itself is a sub-ducted crater, which opens into the sea, creating a natural harbour for the ship. Here we find hot springs, an abandoned whaling station, thousands of Cape Pigeons and many Dominican Gulls, Brown and South Polar Skuas and Antarctic Terns. Wilson’s Storm Petrels and Black-bellied Storm Petrels nest in the ruins of the whaling station in Whalers Bay. We leave from here to the open sea with direction Ushuaia. Your Antarctic Peninsula Cruise ends today upon disembarkation. Please Note: A typical itinerary to the Antarctic Peninsula and South Georgia could be as above and should be treated as a guide only, not an exact program. Flexibility is the key to all our cruises and our exact route and program will depend on such factors as weather conditions, wildlife encounters, the experience of the Expedition Leader and the advice of the Master of the vessel and the crew.